Red’s Eats and Crazy Dave’s BBQ | ¿Qué Onda Guero? On the way up to Acadia, we stopped at Red’s Eats in Wiscasset. 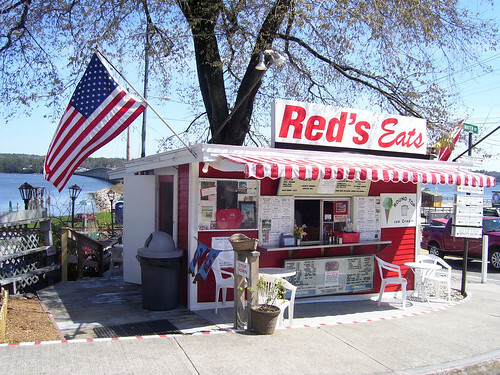 Red’s is famous for their lobster roll. This was simply amazing. 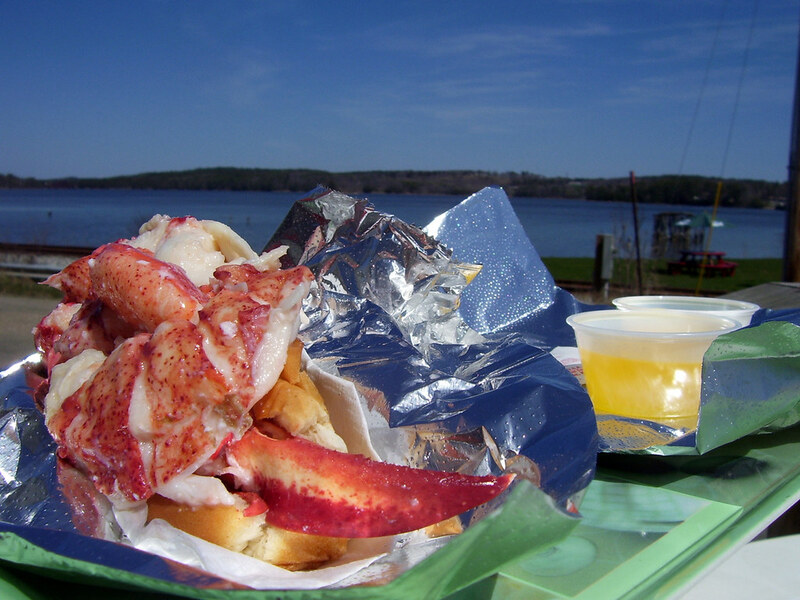 Probably like most midwesterners, I thought Red Lobster was good lobster. I never really liked it but I thought that was because I didn’t like lobster. Boy, was I wrong. I feel insulted now, like some kind of fool, for thinking that what Red Lobster calls “lobster” was good lobster. Anyway. It was really good. It’s over a pound of lobster served on a perfectly toasted buttery bun, with butter on the side. It was expensive (just under $20) but Karen and I split it and were satisfied. 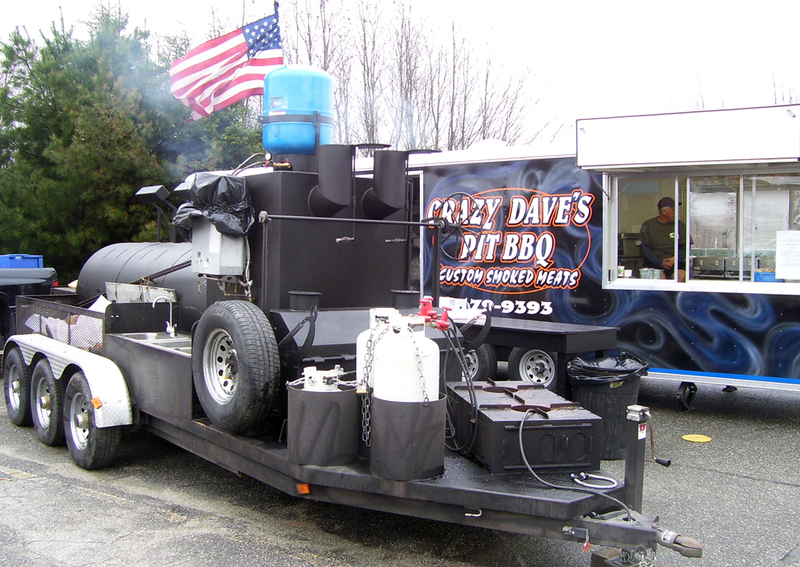 A couple of days later, while driving out to Lubec, we just happened to be driving past Crazy Dave’s BBQ trailer. This place was not on the agenda like Red’s was, but we both like BBQ and we both had a hankerin’ for it. It was okay at best. I wouldn’t rank it up there anywhere near Clem’s in Port Matilda, PA, but I’d give it another shot if I had the chance. We each had a pulled pork sandwich and we also got a sampling of the ribs and beef tenderloin. The pork was a little dry, which surprised me. I thought it was really hard to dry out pork. But what do I know? I didn’t care for the sauce either; too sweet for me. Everything had a good smoky flavor though, which sorta made up for the texture problems and the lack of good sauce. That night we warmed the ribs over the camp fire which added a good crusty char. Yum! This entry was posted on Wednesday, May 13th, 2009 at 5:54 am	and posted in Uncategorized. You can follow any responses to this entry through the RSS 2.0 feed.